Whether you're a resident or a visitor, there are lots of wonderful things to do right here in McLean! Scroll through the page or use the links below to jump to a particular attraction. Located on the McLean Village Square, Arcadia's mission is to provide a place for folks to experience the near-forgotten excitement of a real game arcade. They have replicated the closest thing to a real, old-fashioned arcade as possible. No ticket machines, no wristbands, no cashless card scanners....just a change machine and a pocketful of quarters, each unlocking a new world of fantasy and delight. Looking for a fun place to host a party? There is NO cost to have your party at Arcadia (other than the cost of playing the games). Arcadia is the flagship location, opened in the fall of 2009. Arcadia has new games rotated in regularly from their collection of over 1,500 games. Their focus is to display the most memorable, entertaining pinballs and videogames from the 80s and 90s. Pinball Paradise opened in late 2016 and is housed in a beautiful, historic, restored bank building designed by world-famous architect, Arthur Pillsbury. Inside, you will find over 25 lovingly restored pinball machines from the 1960s through the 2000s, as well as a handful of classic video games and a rare, professional-quality Italian Foosball table made by Faspendezza. New games are rotated in and out regularly. Hours: Arcadia and Pinball Paradise are open on the weekends and by appointment (call or text 309-287-1725). During the summer and holidays, they have expanded weekday and weekend hours. For current open hours, visit their website or Facebook page. For information about the two arcade-themed lodging options on the Village Square, Hotel Arcadia and Hotel Arcadia Suites, visit the Arcadia website. In August 2016 artists Scott Lindley, Michael Clark, and Doug Haffner came to McLean to paint a mural commemorating Wesley “Shorty” Ruble (1924–2008), a beloved McLean barber for more than 50 years. They also built the bench, which features cutouts of a man, child, and dog waiting patiently for their turn with the barber and providing a great photo opportunity! 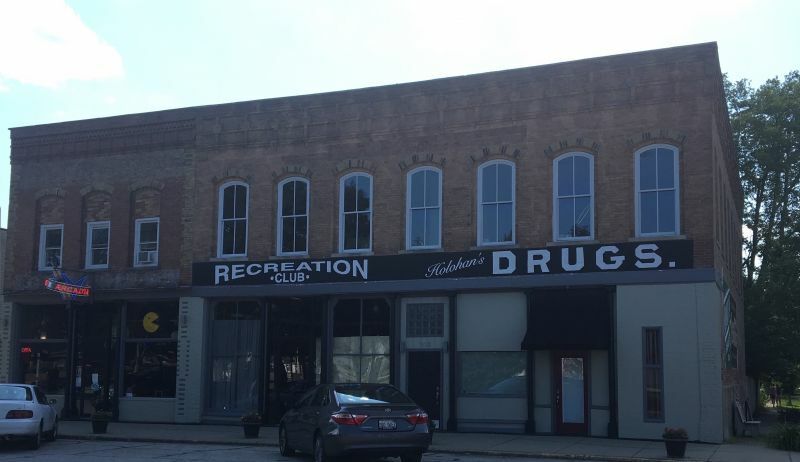 In addition, on the front of the same historic building, the artists refreshed some of the painting that had been done in the 1930s for a recreation club (pool hall) and Holohan’s Drug Store. 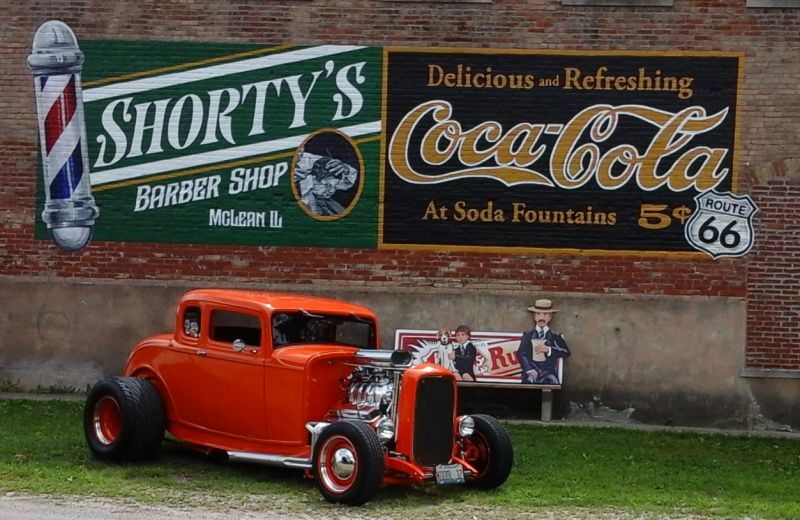 A must-see for Route 66 and local history buffs alike! This project was made possible by the fundraising efforts by CORE (Community Organization for Revitalization and Expansion) of McLean, including the annual Get Your 6.6 on Route 66 run/walk and generous donations by local sponsors. To learn more about the CORE of McLean, visit their Facebook page. Set amidst historic buildings, the Village Square park is a great place to stop for a picnic or meet up with friends. There is a covered pavilion with picnic tables, many large shade trees, and park benches. There are also memorials honoring the citizens of Mt. Hope and Funks Grove Townships who served in World War I and World War II. For questions regarding the park, please contact the Village Office through this website or by phone at 309-874-2102. 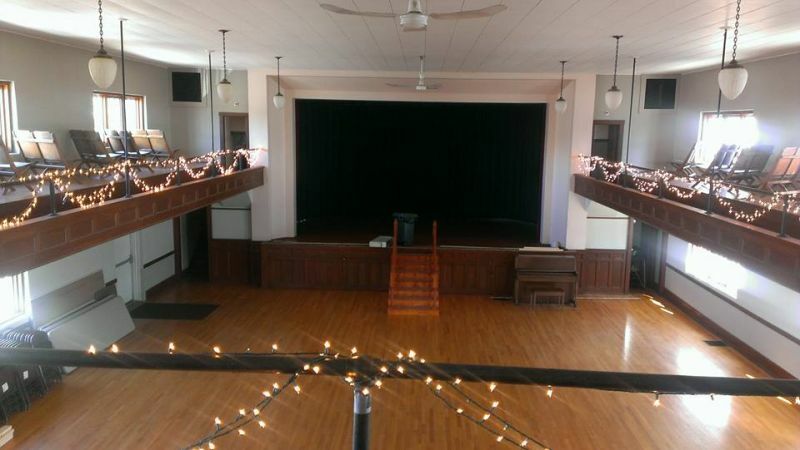 Built in 1917, this historic community building has hosted innumerable events and celebrations. The major portion of the building comprises an auditorium/gymnasium with a stage and balcony, as well as a lower-level dining area and commercial kitchen. These spaces are available for rent for weddings and other special events. Until 2002, the township library occupied the south end of the building, which now houses the Mt. Hope Township History Museum. The musuem is open on the 2nd and 4th Saturday every month from 8 to 11 am. Come up, explore local history, and enjoy a cup of coffee and a snack with friends and neighbors. Groups, class field trips, and clubs are welcome—the museum is an awesome place to hold your meeting and then explore. To request a specific time for a visit, please contact Kristin Anderson, Curator, at 309-830-0388 or Mardell Bottles at the Mt. Hope Township Community Hall. 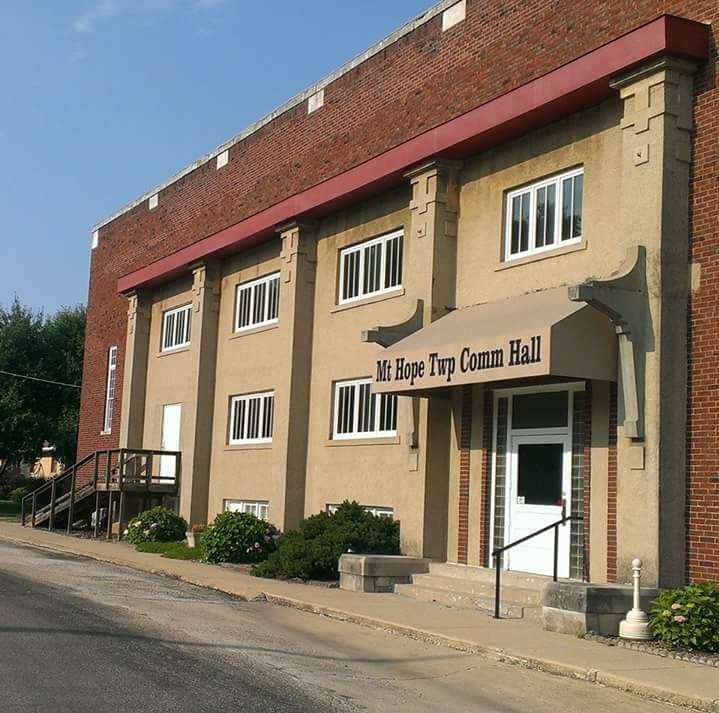 Click here to read an interesting article about the history of the Community Hall. 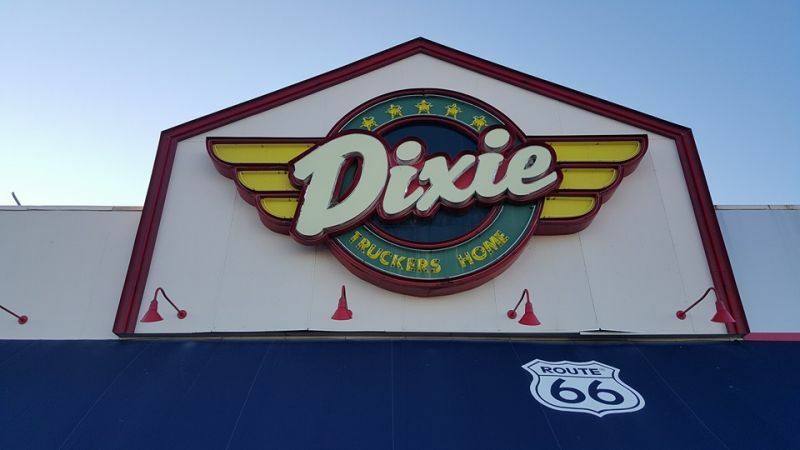 Established in 1928 on old Route 66, the Dixie has changed hands over the years but kept the original signage and name. A refuge for truckers, the truck stop is open 365 days a year/24 hours a day, while the restaurant opens at 5 am daily and closes at 11:30 pm Monday–Friday and at 10 pm Saturday and Sunday. 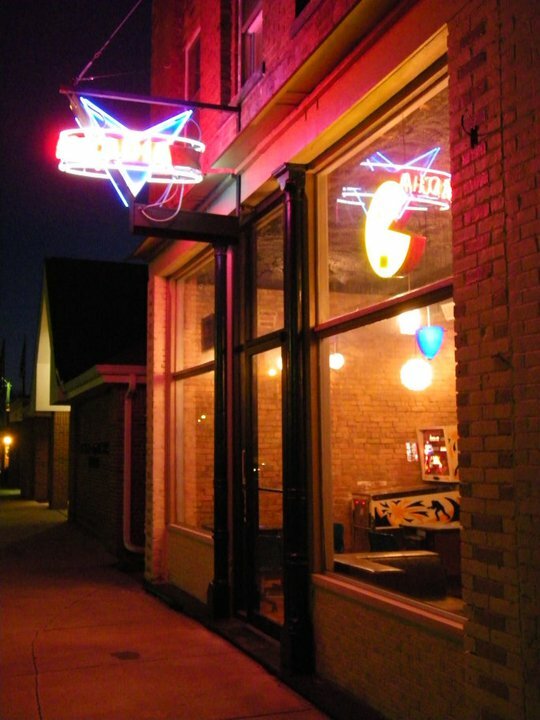 A halfway point between St. Louis and Chicago, the Dixie is a favorite stop for those traveling historic Route 66. 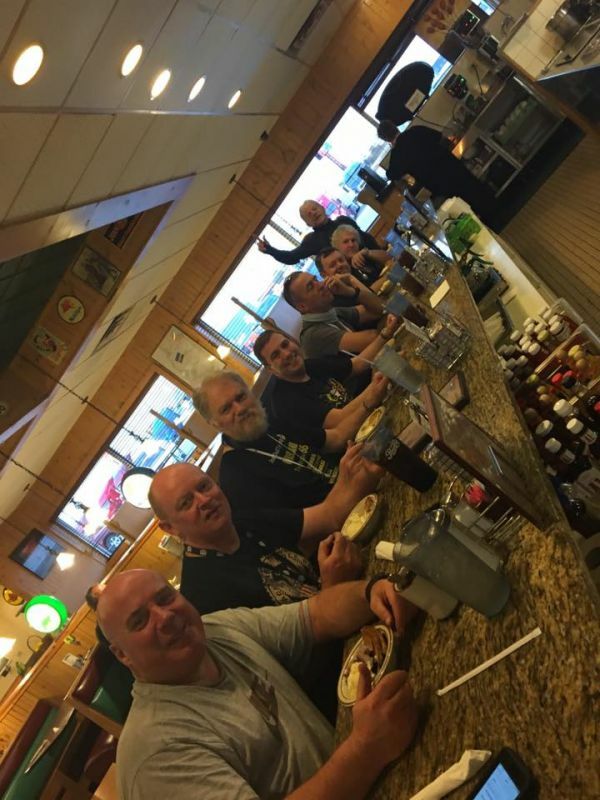 The restaurant still serves its famous broasted chicken, a full menu and breakfast all day long, and an all-you-can eat buffet starting at 6 am. There is also a large room in the restaurant that can be reserved for events. The Dixie Truck Stop is currently owned by Road Ranger of Rockford, Ill., and the Dixie Family Restaurant is operated by Tom and Elaine Kapatos. The staff of the Dixie welcomes you and promises to do their best to show their hospitality, ensuring you always leave with a smile. 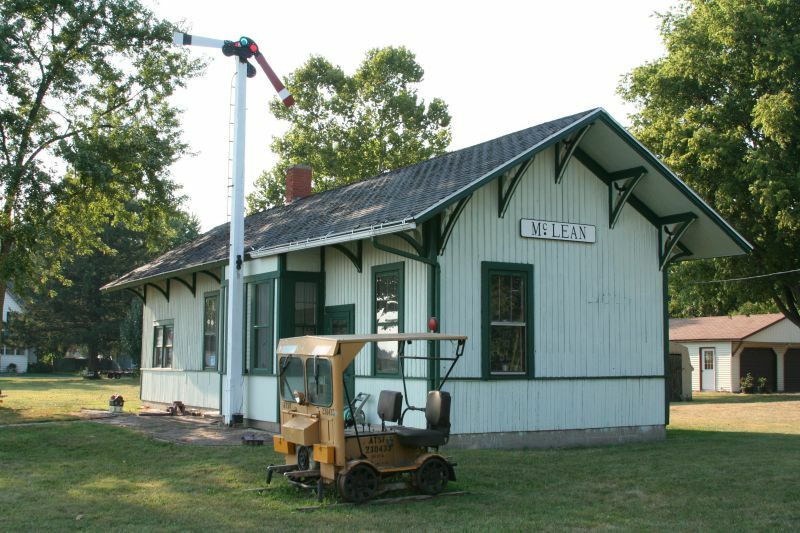 The historic McLean Depot was erected in 1853 and is said to have been the first building in McLean. 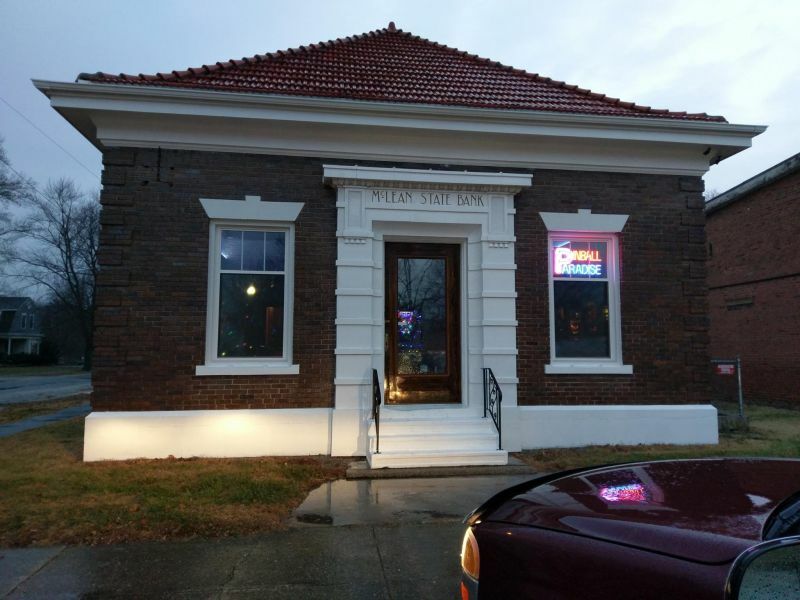 It was moved from its original location along the tracks in 1970 and is still in use, now as the McLean Depot Train Shop, a hobby shop specializing in model railroading items available in stock and through special order. Be sure to stop in and check out the model trains as well as this local historical treasure. 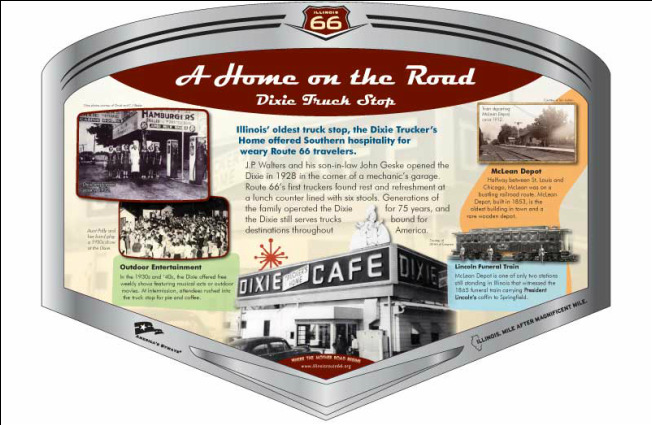 This “Home on the Road” statue, paying tribute to the Dixie Truck Stop across the street, and accompanying panel are part of a series of Illinois Route 66 Scenic Byway Interpretive Statues and corresponding wayside panels located in Route 66 communities. The statues tell the story of The Road in a way that is unique and unexpected by visitors. They also serve as a fun photo opportunity. 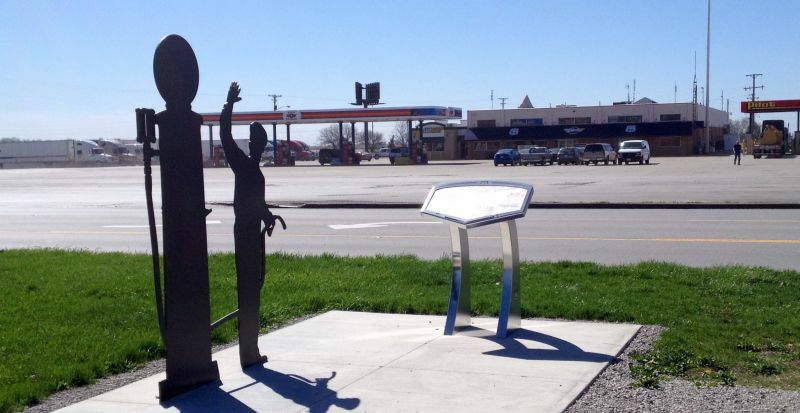 The “shadow statues” are so nicknamed because they are two-dimensional iron statues depicting a famous scene from the history of Route 66 in Illinois. 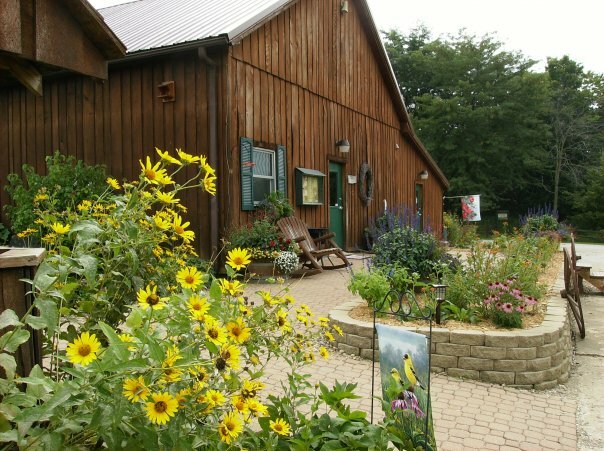 Sugar Grove Nature Center is located in Funks Grove among over 1,000 acres of high-quality natural area, most of which are protected as registered Illinois Land & Water Reserves or dedicated Illinois Nature Preserves. Funks Grove is the largest remaining intact prairie grove in the state of Illinois, and portions have been designated a National Natural Landmark by the U.S. Department of Interior. Over seven miles of trails take visitors through prairie and woodland habitats. A trail from the Nature Center leads to the Funks Grove Church, Cemetery, and Chapel of the Templed Trees. Pets are welcome on most trails, but must be leashed and remain on the trail at all times. 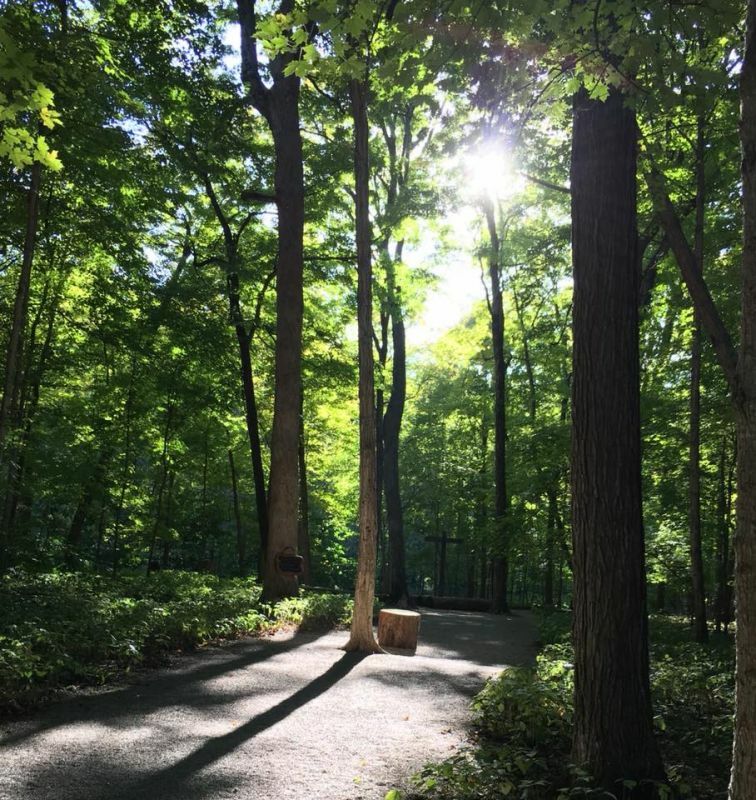 Other site features include a picnic shelter, astronomy observatory, working blacksmith forge, variety of gardens, and many other features that help to make Sugar Grove Nature Center a beautiful and unique place. Throughout the year, the Nature Center hosts numerous programs for all ages, and the Imagination Grove play area is a favorite among children. 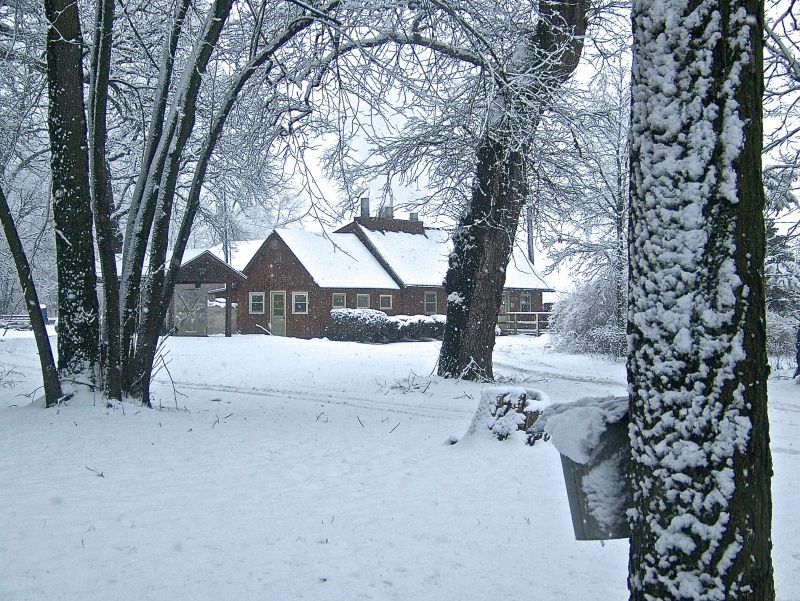 Sugar Grove Nature Center is owned and maintained by the Sugar Grove Foundation. The Foundation is a 501(c)(3) not-for-profit organization solely for the benefit of charitable, educational, and scientific purposes. Hours: The grounds, trails, and Imagination Grove are open year-round, dawn until dusk. Tuesday - Saturday, 10:00 a.m. - 3:00 p.m.
Sunday, 12:00 noon - 4:00 p.m. The Funks Grove Church was built in 1864–65 by Isaac Funk and Robert Stubblefield along with their sons. Due to age and settling of the church, a major renovation began in 2001. Today the original features of the church include the ceiling beams and altar rail, pulpit and matching wall behind the pulpit, as well as a pew divider to segregate the men from women, all from walnut trees cut from Funks Grove timber. Cedar from Oregon lines the interior walls. Hand-planed white pine pews, wall mounted lanterns with reflective mirrors, two wood burning stoves, an 1878 pump organ, and original rolled window pane glass can also be seen in the building. While no longer used for regular services, the church welcomes people of all faiths and is the location of numerous weddings, funerals, and other special services throughout the year. The church and cemetery are open to the public from 7 am til dusk year-round. Also located on the grounds are a large picnic shelter as well as an Irish Monument marking the mass grave where over 50 railroad workers were buried in the early 1850s. 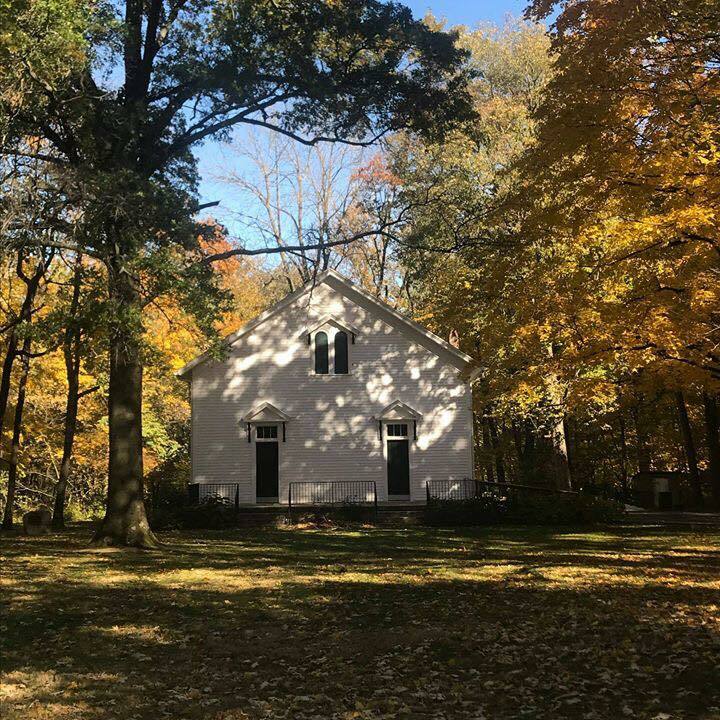 Across the road from the picnic shelter visitors will find a path leading to the Chapel of the Templed Trees, an outdoor sanctuary with American Red Elm logs as pews and tree stumps as pulpits—a beautiful setting for an outdoor wedding or peaceful reflection. 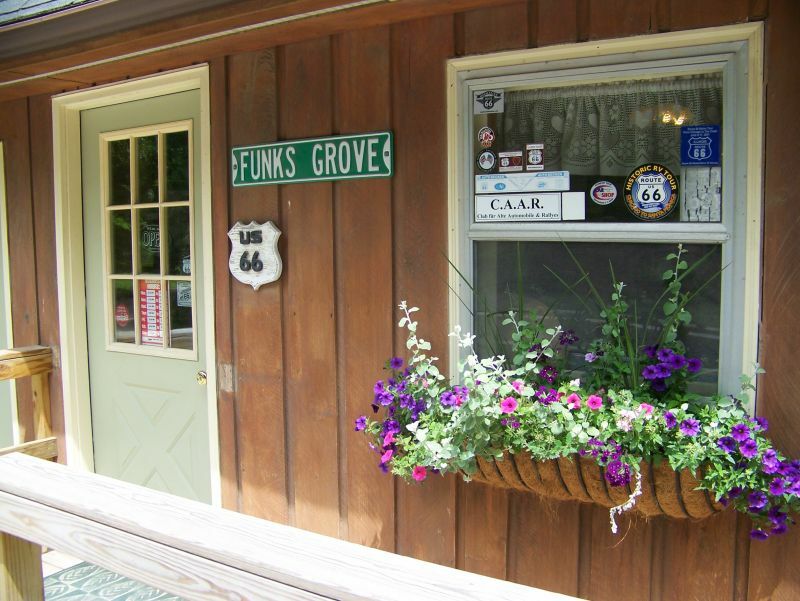 The Funk family has been making maple sirup in Funks Grove since Isaac and Cassandra Funk first settled there in 1824. The commercial operation was established in 1891 and is now operated by fifth- and sixth-generation Funk family producers. 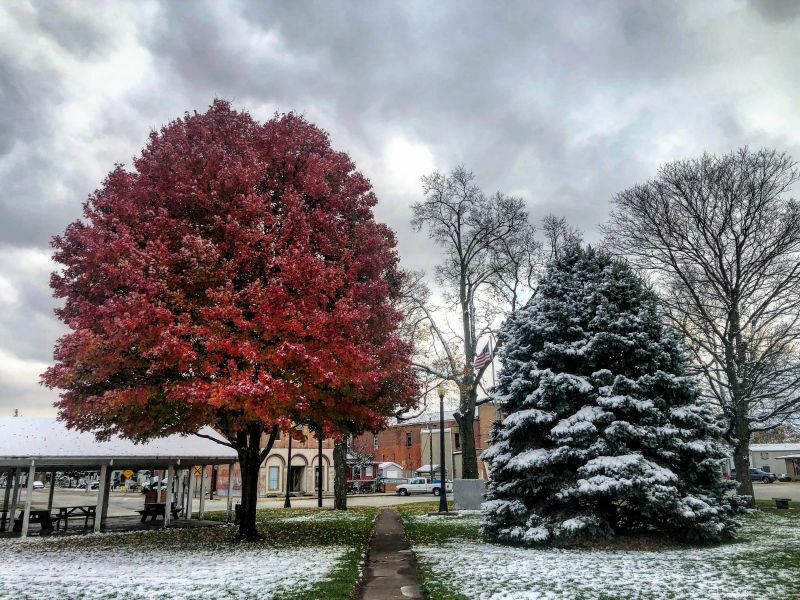 Maple sirup production typically begins in February or March but is highly dependent on weather conditions—the sap flows during the change of seasons from winter to spring, with freezing temperatures at night and warmer days. The shop usually opens around the 1st of March, and during the production season, visitors can walk out into the trees to see the buckets filling and come into the sugarhouse to soak in the steam as the evaporator runs. The season is usually over by mid to late March, but the shop stays open until the sirup runs out, usually around the end of August. Along with the pure maple sirup, the shop sells maple candy, sugar, and cream, as well as products from a new small family farm operation, Funks Grove Heritage Fruits & Grains, including pancake and muffin mixes and flour made from wheat grown in Funks Grove using organic practices. There is also honey, t-shirts, Route 66 memorabilia, locally made pottery, and more. For current hours, call or visit the website. 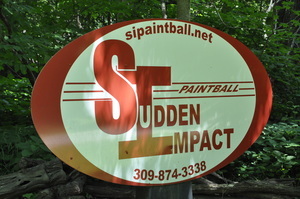 Open since 1992, Sudden Impact is Central Illinois’ longest-running and biggest paintball field. Located in Funks Grove with more than 25 acres of paintball fields, Sudden Impact has an experienced reffing staff that is dedicated to making sure everyone plays safely and has a good time. They welcome players of all shapes, sizes, and experience levels, from the casual walk-on player who has been playing for years to the first-timer looking to have the best birthday party ever. Groups are welcome, but must be scheduled in advance. There is a large staging area with plenty of seating and participants are encouraged to bring food and drinks for their party (just no alcohol). There is a fire pit that can be lighted if requested. Open seasonally every Saturday and Sunday from 9am to 3pm. 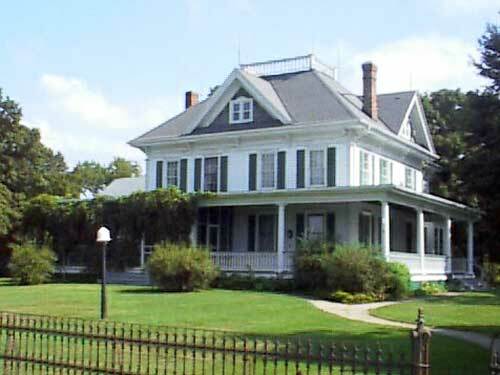 The Prairie Home was built by LaFayette Funk, who completed the work in January of 1864 and presented it to his new wife Elizabeth Paullin. LaFayette incorporated the newest technology at the time, including indoor plumbing and hot water heat. It took over a decade to fully furnish and decorate their home, and today the vast majority of what you see is still original. A tour of the Funk Prairie Home, fully furnished as it was in the 1860s, is a trip into the exciting history of the Funk Family, filled with dazzling accounts of the family's agricultural and political accomplishments. 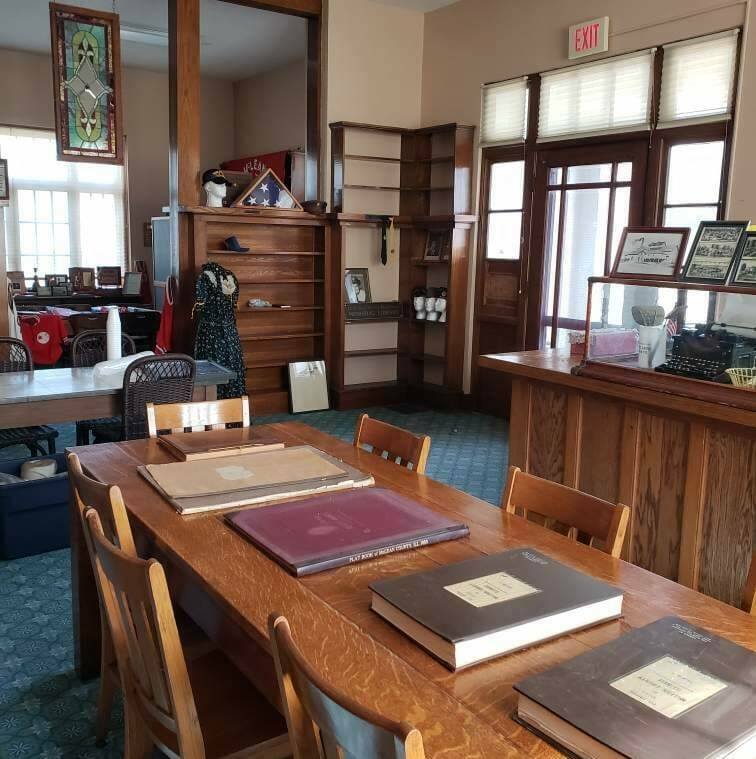 Tours are also available of the Gem & Mineral Collection, a huge and diverse collection of minerals, gems, and fossils collected by LaFayette Funk II, and the 1860s farm machinery display & original barn. The tours (offered March through December, Tuesday through Saturday, 9 am to 4 pm) are free, but reservations are required. Please call ahead to book a tour.